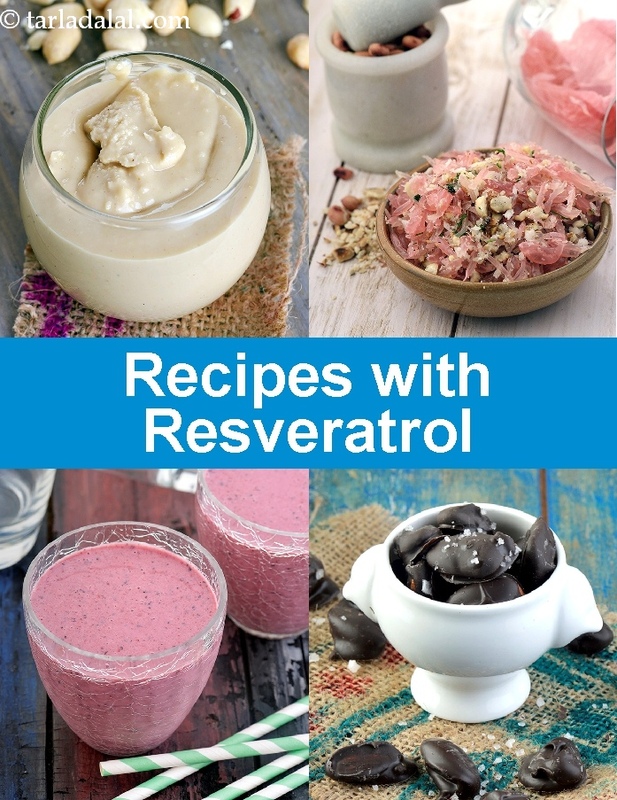 Resveratrol is a plant compound which has been known to act as an Antioxidant and hence beneficial to humans. It is naturally found in grapes and berries and also in the form of supplements. 1. Anti-cancer agent: Its powerful antioxidant ability helps neutralize the free radicals formed in the body naturally due to stress, alcohol, smoking and pollution. These free radicals otherwise cause damage to immune and thus are known to cause diseases like Cancer. 2. Stabilize blood pressure : It helps relax the blood vessels and maintain blood pressure within normal range. 3. Protects the brain : Due to its antioxidant and anti-inflammatory activity, it is known to protect the brain cells and stay steer of diseases like Alzheimer’s diseases. 4. Decrease inflammation: Reducing inflammation in the body and thus preventing the occurrence of diseases like Diabetes and Heart disease also tops the list of resveratrol’s health benefits.